As if your summer 2015 calendar wasn’t already packed, pencil in a few more, as 20th Century Fox has just announced some changes to their releases. The first is director Matthew Vaughn’s adaptation of the Mark Millar/Dave Gibbons comic series The Secret Service, previously set for a November 14, 2014 release, which has been pushed back to March 6, 2015. No other film is scheduled for that date yet. The film is now set for release on the original date for the upcoming Fantastic Four reboot, directed by Chronicle helmer Josh Trank, which will now open on June 19, 2015. It shares the new date with the Pixar film Inside Out. 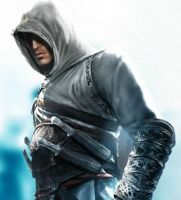 And as if things couldn’t get any more mirrored, Fox also announced that their adaptation of the video game Assassin’s Creed, starring Michael Fassbender, has been pushed from June 19, 2015 to an August 7, 2015 debut. Fox also set dates for two more films. The Untitled Vince Vaughn Movie (AKA “Business Trip”) will hit theaters on October 24, 2014 and Paul Feig’s Susan Cooper, starring Melissa McCarthy and Jason Statham, will arrive in theaters on May 22, 2015, a date it will share with Brad Bird’s Tomorrowland.